Our Vehicle Locksmiths offer twenty-four hour a day mobile locksmithing service for anyone locked out of their car. Their complete service includes emergency entry to your car or van in the event that you have lost or broken your keys and replace them, there and then at the side of the road. Our professional locksmiths are fully trained and qualified, and carry all of the tools they need to carry out their work. From retrieving your keys from inside your car or van when they have been locked in, to creating replacement keys, programming transponders and remotes where ever you need them. 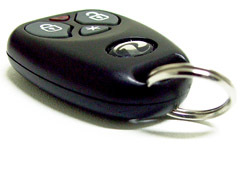 We carry blanks and tools to replace both keys and locks for all popular models of car and van. Emergency car locksmith service covers Devon and parts of Somerset and Dorset. Whatever time, day or night, three hundred and sixty five days a year, we can get you back in your car and on your way. As professional locksmiths, they don't just help people who have lost their keys, but also rekeying the locks on your vehicle if you lose your keys and need to have the vehicle secured again. The last thing you need to be worrying about is who else has a key to your car or, worse, your van with all of your tools in. Beyond that they can even provide improved security features for vans and all commercial vehicles, from reinforced locks to dead-bolts. 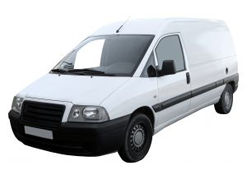 As well as slamlocks which are ideal for tradesmen and delivery vehicles. The prospect of replacing lost, broken or stolen keys is often exacerbated by the thought of the expense. 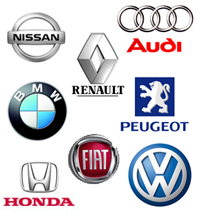 Having your car or van towed to the nearest dealership and the, sometimes extortionate, cost of new keys being made. So, before you worry about that, call Exeter car locksmiths and be on your way much quicker. We can often save you a considerable amount of money.